For hand troweling Ultra Surface Polymer Concrete applications. Rounded ends make it easier to feather edges to zero and achieve a smooth finish. 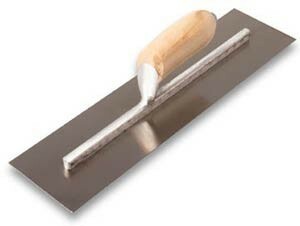 For spreading polymer concrete applications in tight areas where the metal edge squeegee cannot be used.